The curricula of the Teachers Institute is constantly being updated and refined to keep them fresh and relevant to the needs of the teachers and students. 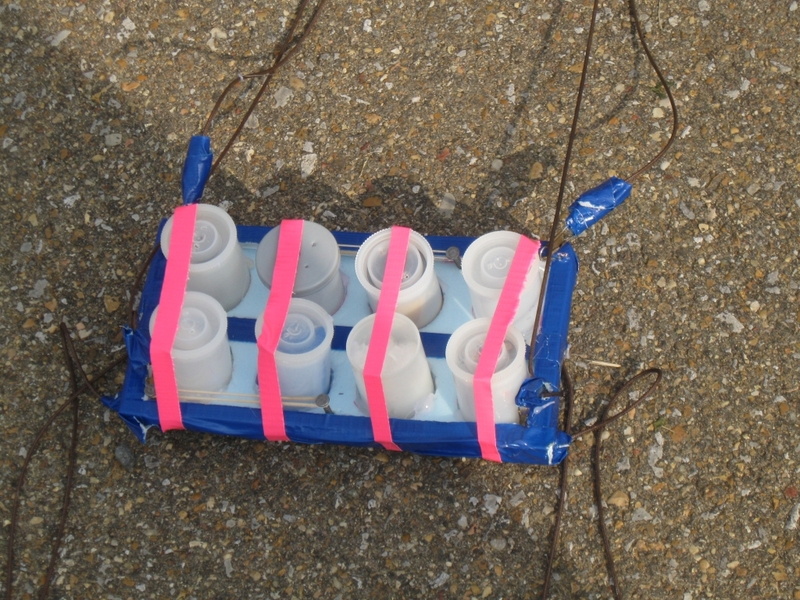 There has been increasing interest among educators in high altitude balloon and robotic depl oyment of sensors to study remote and inhospitable environments. These kinds of activities are a good example of content that connects the science and math of STEM with the technology and engineering real world applications of those fundamental concepts. The purpose of the TI-2 Remote Sensing curriculum is to focus on the basic electronics behind the employment of sensors (temperature, pressure, position, humidity, etc. ), analog to digital conversion techniques and the microcontroller programming involved in accessing sensors, and the use of radio (packet radio-like data links) that connect sensor outputs to the user. 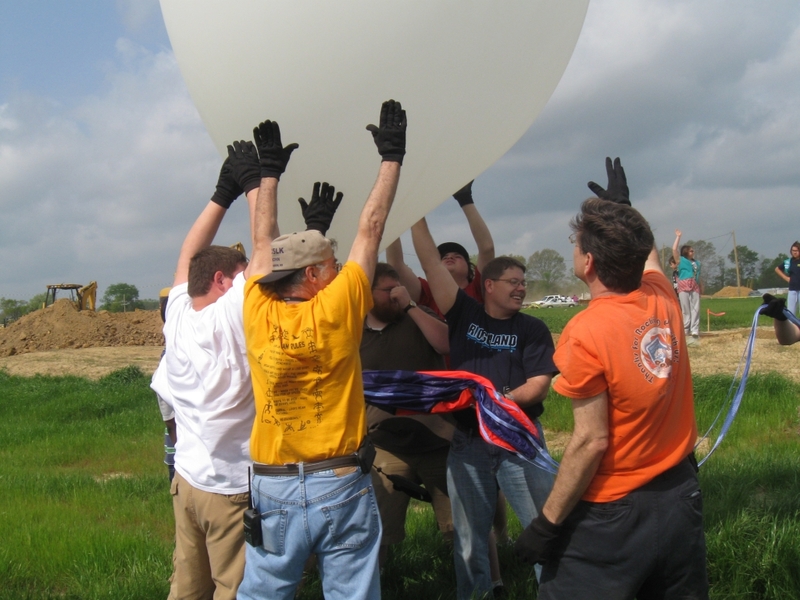 Once the basics of remote sensing are introduced, teachers participating in the Remote Sensing seminar will explore a buoy system for deploying sensors to do environmental studies. Other de ployment systems on land and marine robots as well as high altitude balloons will be discussed. 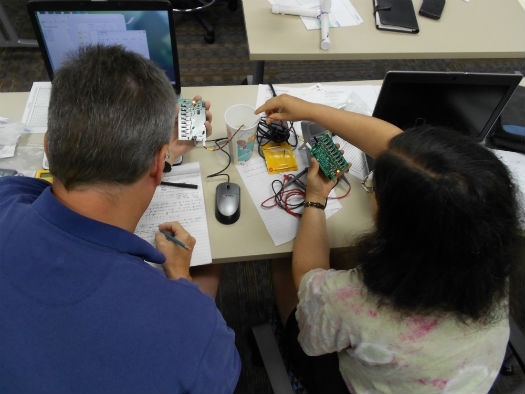 The end goal of the TI-2 Remote Sensing is to provide the in-depth knowledge and tools teachers need to help their students actually “do” remote sensing from start to finish, develop the sensor packages, collect the accumulated data, and perform the math to make sense of the data. The aim is that students will be using technology to do active research. Though participants need not hold an Amateur Radio license to enroll in the introductory TI-1, to be considered for a seat in TI-2 Remote Sensing, participants must possess at least a Technician class license at the time of application. Previous participation in the TI-1 is required. ARRL membership is also required. Teachers do analog to digital conversion of temperature readings from a thermistor at the TI-2 Remote Sensing, hosted by Dayton Amateur Radio Association in Dayton OH July 2013. Read more about the 2014 pilot of the marine buoy at the TI-2, Remote Sensing and Data Gathering. Read how other teachers are exploring wireless technology in their classrooms.